It is hard to imagine a world without art. Art is moving, thought-provoking and inspiring. The Swedish Exhibition & Congress Centre and Gothia Towers has seized upon that notion, which is why art has a place here. Everywhere – from down in the lobby, through the rooms and up to Upper House – art is a natural part of the operation. 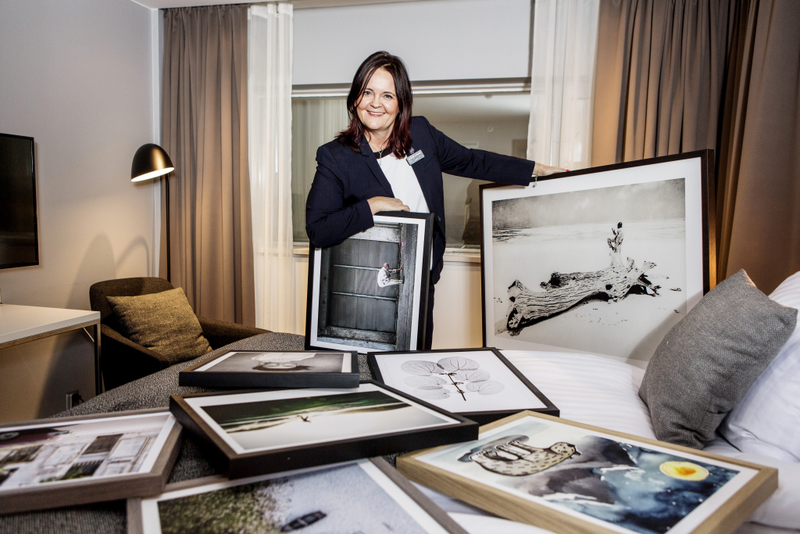 For the permanent pieces around the building, the Swedish Exhibition & Congress Centre and Gothia Towers works with several players to develop proposals, but in their own exhibition space, The Gallery, Lena Kallevik, director of creative events, is in charge of booking the artists. “What distinguishes The Gallery from the rest of the building is that we can pull out the stops even more, and have different styles from show to show. We work with temporary exhibitions – visiting art, you might say. But we still try to match what’s going on in the building during the relevant period, and ensure that it fits with our brand,” says Lena Kallevik. The Gallery’s vision is to be a place for creativity, inspiration and energy in a surprising package. “We want to weave the familiar with the unexpected to generate a spark and curiosity. We want to be seen as pioneering, with new concepts as to what a gallery can offer,” says Lena Kallevik. Visitors can expect elements of the familiar, the unfamiliar and local artists, photographers, sculptors and textile artists. The exhibition is then planned in collaboration with the artist or owner of the objects in order to generate an exciting and a theme. “The hope is to give visitors an experience by offering a thrilling combination. They should leave us with plenty of impressions and experiences. Then we will be pleased,” says Lena Kallevik.